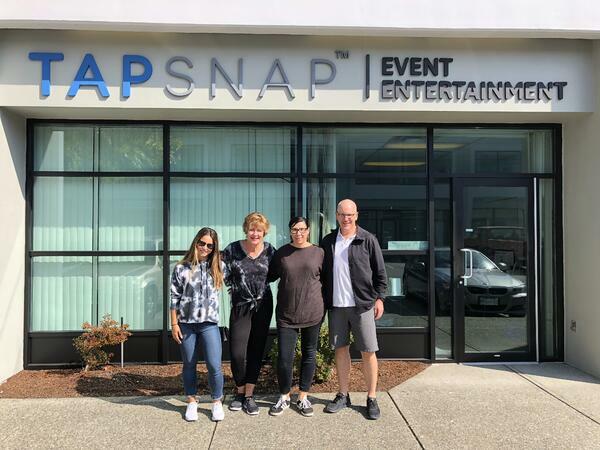 At the end of every year it is the team at TapSnap headquarters' pleasure to pick out a few franchisees who have been making impressive headway in the photo booth industry and have been superlative in representing the TapSnap brand. This year, the team chose three exceptional franchisees to take the Franchisee of the Year crowns (well, there's no crown, but there is a badge). JC is well known among the TapSnap family as a passionate advocate for the company as well as the chairperson of the Franchise Advisory Council (FAC). He works hard to ensure not only his own franchise, but TapSnap as a whole, is on the right track. He is often the first to congratulate other franchisees in their successes and to give them advice where he can. His work on behalf of all the franchisees has been invaluable, and his insights are greatly appreciated by the team over at HQ. JC is pictured above (top left) with his team at the RipTide music festival, one of his standout events of 2018. JC says that he and his team are "honored and humbled to receive the recognition and proud to be part of this family" and are looking forward to an amazing 2019! 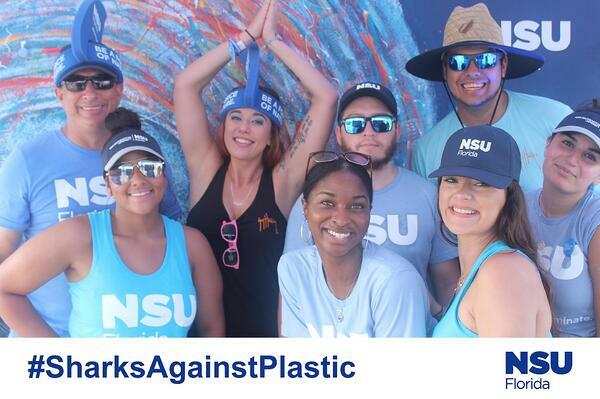 There must be something in the water over in Florida (other than sharks) because another one of this year's winners is also from the Sunshine State. Jimmy has led the charge when it comes to creative graphics. Through collaborations with Ignacio, our Head of Design, Jimmy has delivered innovative graphics to clients, including the one below for a Saratosa Power Boat Grand Prix. Jimmy has been a longstanding member of the FAC and him and his wife, Blenda, are a success story of choosing to have a fresh start with TapSnap. They moved to a new state to begin their venture with us, and they prospered in their new home with the company. 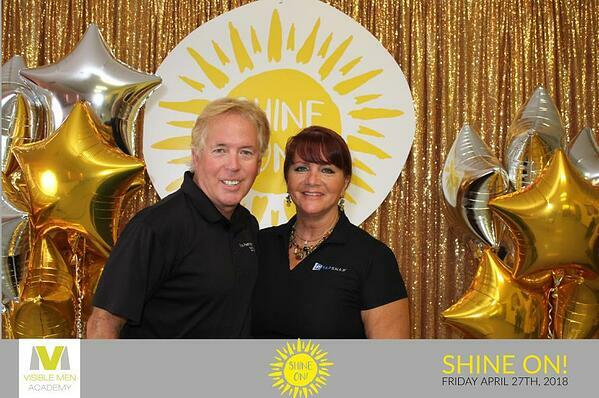 Jimmy told us that he was grateful that the corporate team had "confidence in knowing that we are like-minded in providing the best quality product to our client," and he believes TapSnap to be "the best photo booth company, period!" 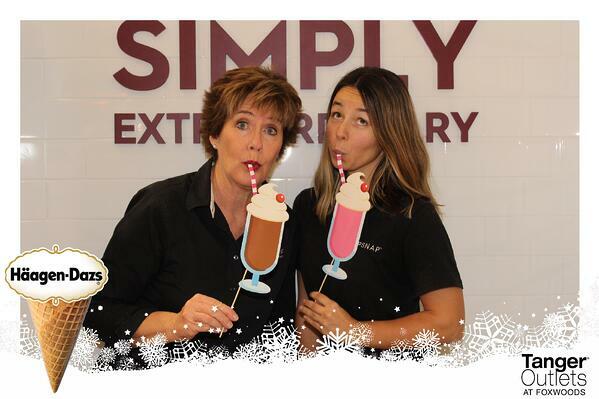 Tammy and her daughter Viktorija prove that a TapSnap franchise makes a great family business! Always enthusiastic and great to work with, Sky has described Tammy as "the ultimate team player". Tammy and Viktorija's wonderful enthusiasm has shone through in in their willingness to service even the smallest event in Boston, despite living a couple of hours away, and always with smiles on their faces! Everyone who comes into contact with Tammy immediately gets a sense of her warm personality and we're certainly lucky to have her positive energy within our team. Tammy and Viktorija even made a surprise visit to corporate HQ in Vancouver, BC in 2018! Tammy has said that she and her daughter are grateful to TapSnap for "the camaraderie, guidance, expertise, creativity and support we experience with the corporate team and fellow franchisees" and that they are happy to have had opportunities to "create special memories together servicing all types of events". These three Franchisees are now the proud owners of the coveted Franchisee of the Year email badge, as well as the winners of an exclusive event package which includes a photography backdrop and lights. At the end of the year as we reflected on what a successful year we've had, we realized once again how fortunate we are to have our franchisees! All of the franchisees recognize that the success we enjoy is truly a team effort, and as Tammy says, we're part of an extended family. Here's to another successful year in 2019! If you'd like to find out more about joining the TapSnap family as a franchisee, click the button below.